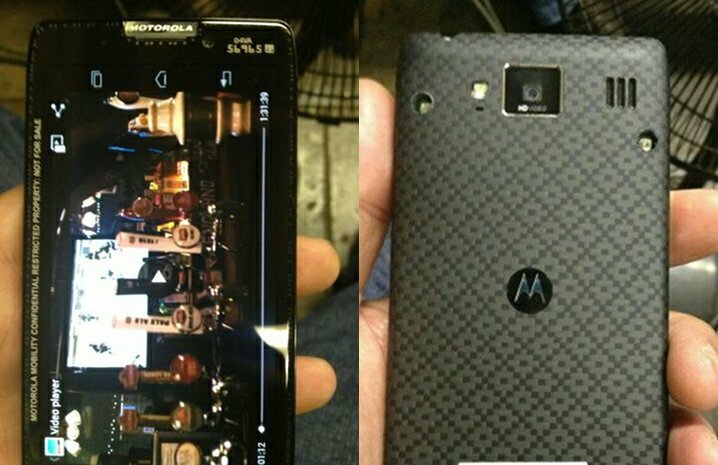 A device that most are expecting to be called the RAZR HD at launch, thanks to countless Motorola employees who post info to public sites, has appeared over at XDA this afternoon in a variety of pics. In the “About phone” screen pictured below, I would say that this must be some sort of an international variant of the phone, rather than the one we saw pass through the FCC on its way to Verizon, last week. If you look closely, you can see that it was made for Vodafone. We do think that both this and the FCC-approved Verizon version are very similar though, since they both have close model numbers of XT925 and XT926. We should also note that the code name of “Vanquish” is included, something we have seen attached to the Big Red version in a benchmark. Over the years, we have seen Motorola release U.S. versions of phones under the DROID brand as exclusives with Verizon and then follow-up with GSM versions sans DROID tags. The RAZR, original DROID, and DROID X are all examples. It wouldn’t surprise us at all to see a DROID version launch here, followed by an international version shortly thereafter. So what else do we know about this international device from Motorola? 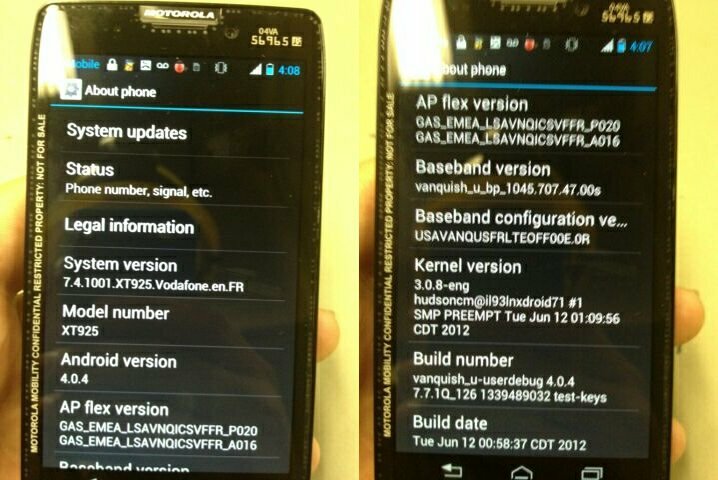 Well, the XDA member claims that it’s from a friend whose friend works as an engineer for Motorola. He doesn’t appear to know many specs, but did mention that the camera is 8MP, rather than the 13MP shooter that has been rumored a time or two before. You can also see that on-screen soft keys are present, much like we saw on the Atrix HD (unboxing and first look). So, what are your thoughts? If this ends up being a twin of a Verizon phone, is it your next?